It was towards the beginning of September, at the end of Freshers’ Week. I shot this at a ridiculous time of the day around 3 am. Usually I’d just sleep but I felt like I couldn’t miss this one. As I mentioned here, I did my undergraduate degree in St Andrews. Some of you may know that Scotland is located north enough to see the northern lights, but I have always missed the chance to observe one myself. You may think that within the four undergraduate years, surely you would be able to observe one, and that is mostly true. Except I spent most of the nights in the lab or the theatre when people were posting northern light photos on social media (often facebook). When I graduated and went back to Japan, I absolutely regretted missing those occasions. So, fast forward a year and a little after I came back to St Andrews regretting missing the northern lights, I got the first Red Alert notification on my phone during the event that night. I was thinking it will be either too late by the time I get home or clouds would come in. So I went home and actually got ready for bed. 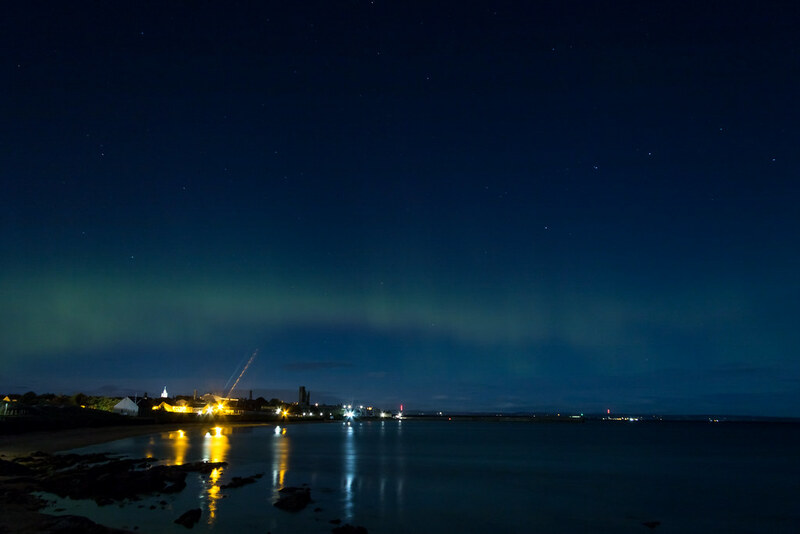 My girlfriend Asta was up and she’d been updating me on what she saw on facebook as her friends in St Andrews were posting photos of the northern lights. Although I was very tired, I had a strong desire to not miss this moment, and I was grateful of what Asta was doing despite how I was almost giving up. It was a dilemma. But then, she said “I wish I was there with you [to see the northern lights].” What she said reminded me of the very reason I do photography. It reminded me of my desire to share what I see with others because what we see is very volatile. The moment only exists there and then. Some were less volatile, but how I see them still made them volatile; I won’t ever see whatever I see exactly the same again. Hence, although I was under my duvet, all ready to sleep, I jumped out, quickly gathered my gear and got out of the house. I thought to myself, ‘If I can capture this here, it must be amazing once I get to a darker location.’ So I hopped onto my bike, sprinted down the hill to get to East Sands and walked up the path leading to the caravan park. On my flight back to the UK when I started my PhD degree, I was thinking about the northern lights as it was February. I also imagined different locations where I could shoot them. I thought that it would be really interesting to have it over the town. Hence the caravan park, which I’ve been with my friend Bence, was at the top of the list. As you can see, if you point directly to the north, then turn little towards the west, with a wide enough lens, the town will start appearing in the viewfinder. As soon as I got to the location, out of breath, I quickly setup my flimsy tripod. Every time I get my tripod out, I regret how I still haven’t invested in a good one. It is absolutely annoying having trouble reaching above the fence and having a very limited set of controls. 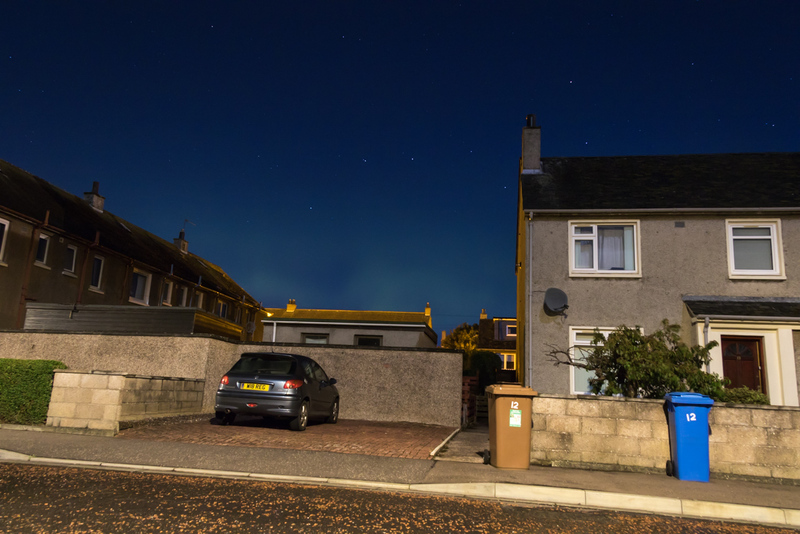 I basically followed the guide by AuroraWatch – “Auroral Photography: How to Maximise Your Chances”. I began with facing the north, got my horizon sorted (thanks to the camera’s internal bubble level), got my remote trigger connected and began shooting. Foolishly, I did not follow all the advice; I did not raise the ISO very high. Had I done that, maybe it would have been more vivid with more visible structure to it. Please do not zoom in — it is not really a great shot, but it demonstrates the point. With my own eyes, I could see the wavy movement a little. By the time I had shot about a dozen or two, the northern lights were so faded that I could barely see it with my own eyes. So I packed my stuff, partly wet from the droplets on the bushes, and headed home. When I got home, I was too excited and anxious to go to bed. I was excited because of what I saw; I was anxious about whether I managed to capture it well enough. It turned out that one or two were okay, which added to my excitement, causing me to continue editing the files till light start appearing in the sky. All in all, it is definitely not the most sensible thing I have done. However, it was purely fascinating to see a stunning phenomena like this. 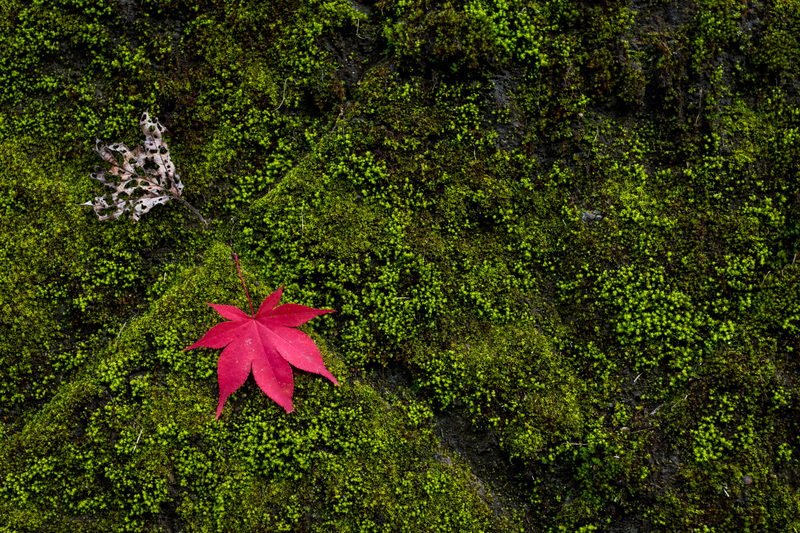 Sometimes, catching the chance to observe the beauty of this world might inconvenience you, but I say go for it. I guarantee, it is worth it. Nice job. We talked about this when I visited, I think? I haven’t taken shots of the Aurora (yet), and I wonder what the sweet spot is for ISO and shutter speed. An exposure that is too long might blur the lights? And I imagine you’d want to under expose, as you don’t want a “18% gray” exposure. Cool, keep it up! Hi Dave! Thanks for your comment. Yes, we did briefly talk about this when you visited St Andrews. Sadly, I did not experiment much when I shot them. When I got the exposure sorted, I kept shooting and shooting. It seems that I was on a rather too long side, in terms of exposure time. 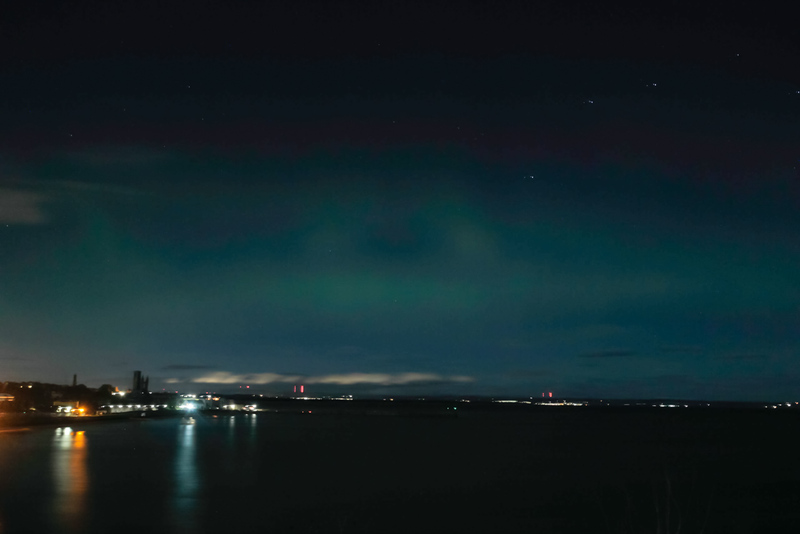 Auroral Photography: How to Maximise Your Chances from Aurora Watch (http://wp.lancs.ac.uk/aurorawatchuk/2016/12/13/auroral-photography-how-to-maximise-your-chances/) Gives a good guide on it. I believe I was on a slow side as some shots, although they were at 30s, revealed some sort of shape. They have a flickr group (Aurora Watch) which I added my photos to. I will keep an eye out for another northern light appearance along with another simple clear sky night to do start trail images.